3. Private transfer service included. Chongqing, called the Mountain City overlooking the Yangtze River and the Jialing River, is the starting/ending point of Yangtze River Cruise. 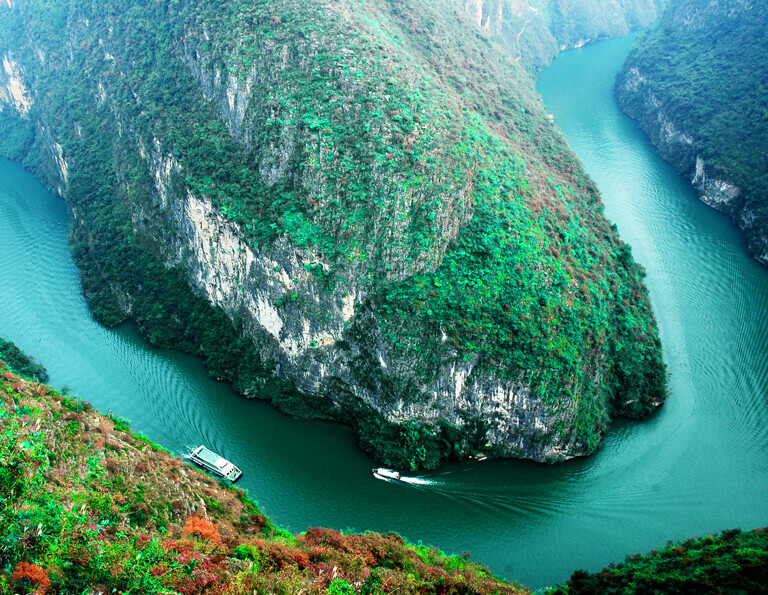 Therefore, most people come to Chongqing to have the Three Gorges cruise & tours, but there is a lot to see in Chongqing. 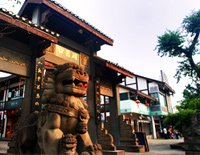 You can discover the unique feature of this Mountain City by a series of hot attractions in the downtown area, such as, Ciqikou Ancient Town, E’ling Park, etc. You will love this city and feel time really goes flying. It is a common choice to spend 1 day to see the hot attractions in the Chongqing downtown area before or after your cruise. 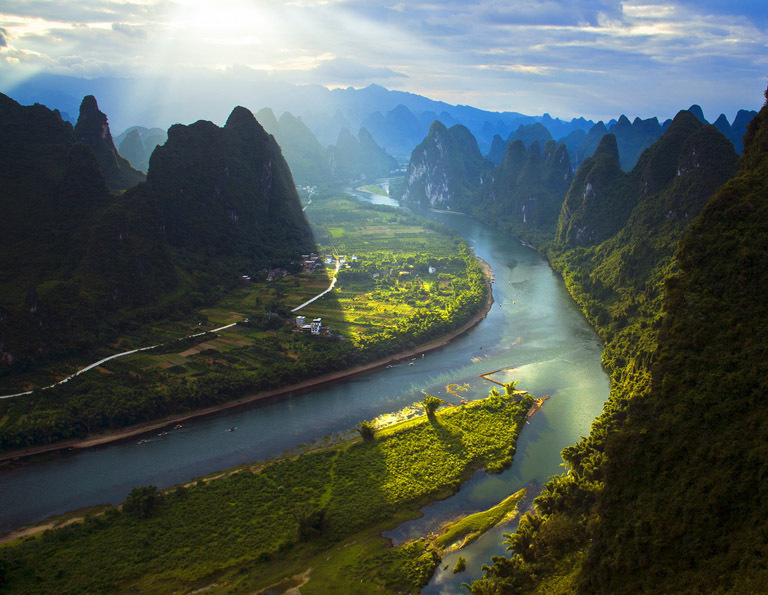 And you can also spend 1 more day to appreciate the world’s masterpiece of Dazu Stone Carving, or 2 days to marvel at Wulong Karst Landscape listed as World Heritage Site, etc at the suburb. Since the 72 hours Visa-free Transit is available for visitor to Chongqing, you can enjoy an unforgettable time immersed in the hospitality of local people and the super tasteful local food, like the hot pot. You can easily transfer to many other cities like Shanghai, Beijing, Chengdu, Xi’an, Hong Kong, etc. by flights, trains and coaches. 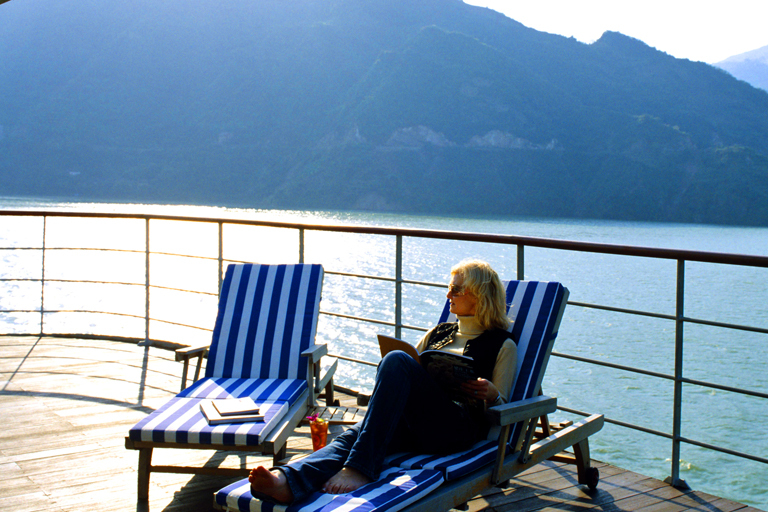 Also, you can spend a wonderful trip on the Yangtze River to other popular destinations. Start to select your favorite tour package from our collections or just let us customize one for you. 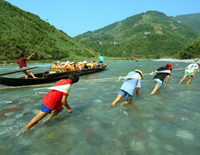 We, chinadiscovery.com, running office in Chongqing, will offer you the best Chongqing tour & Yangtze cruise experience at the lowest price. 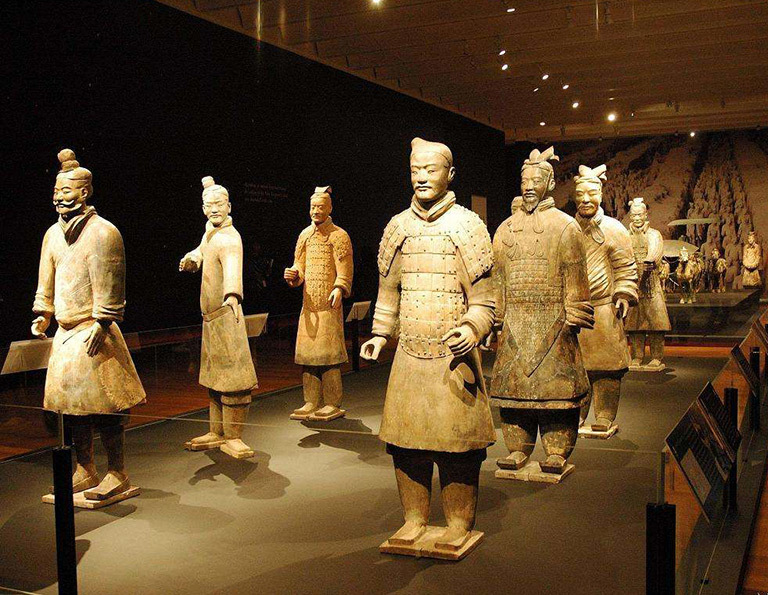 The one-day Chongqing short stay tour is specially designed for those who want to explore the essence of Chongqing before or after your relaxing Yangtze River Cruise. 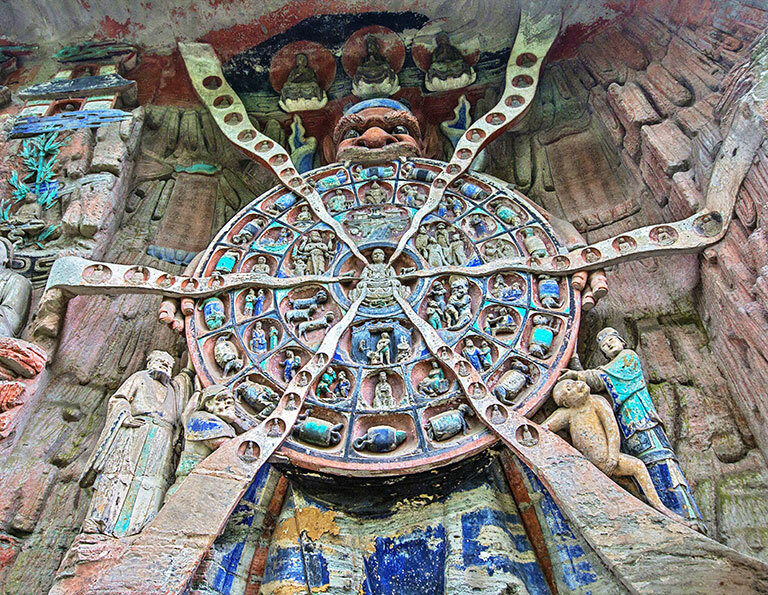 Spend two days for visiting the Mountain City and the world's heritage Dazu Rock Carvings is a good experience for most travelers before the Yangtze Cruise. 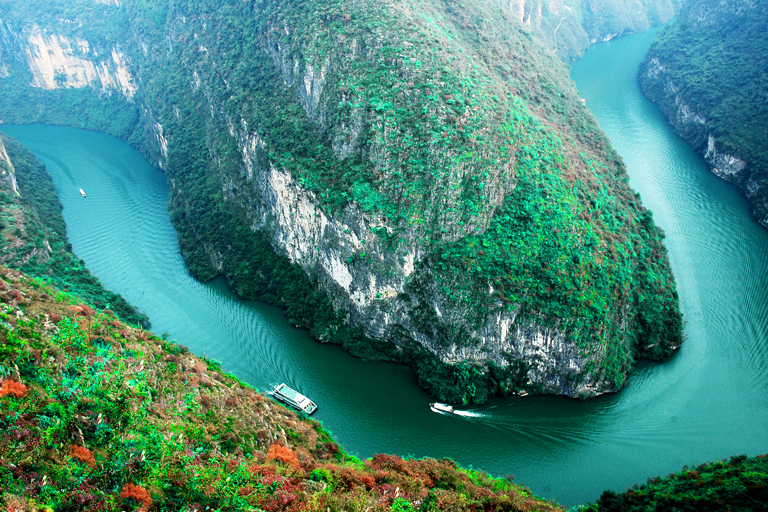 This is the most relaxing Chongqing & Yangtze River Cruise tour! 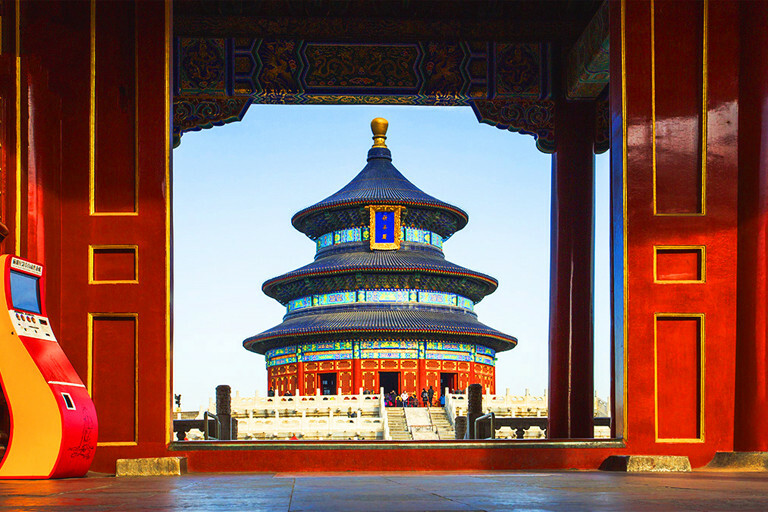 In the 5 days, discover China's most spectacular scenery, cultural treasures, religious and historical sites with the spectacular Yangtze Cruise in comfort and style. 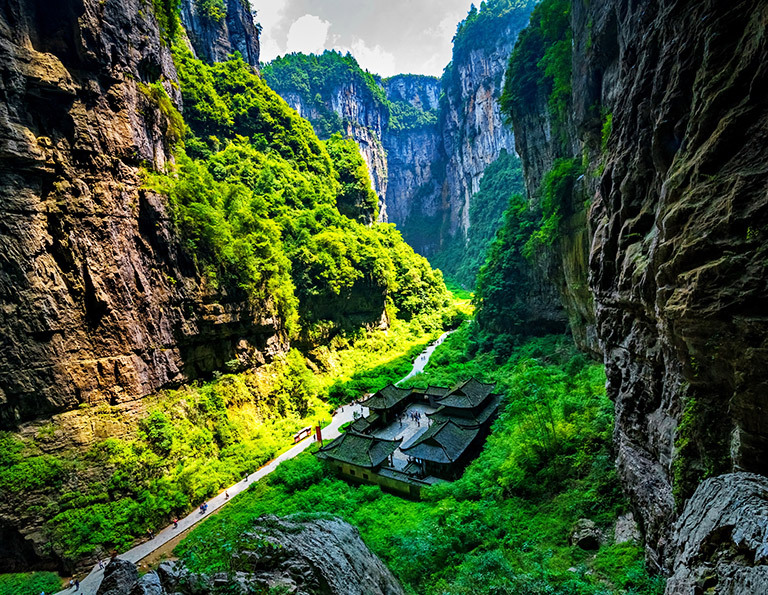 Explore Chongqing's rare geological wonder in Wulong, from the underground artistic palace to Natural Three Bridges and picture-perfect Fairy Mountain. Savor some authentic local specialties in the old town and discover hidden treasures and unique insights in museums during 4 days. 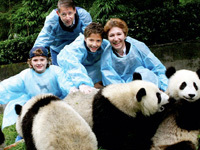 Before taking the Yangtze Cruise, you could spend 3 days exploring the highlights of Chongqing and Chengdu by visiting several popular attractions like Giant Panda Base, Jinli Old Street and Three Gorges Museum etc. 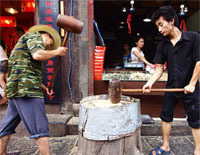 Chengdu, the hometown of Giant Panda, also enjoy its unique characters, you can taste Sichuan cuisine to feel the spicy hot, or sitting in tea house to experience the leisure pace of life. 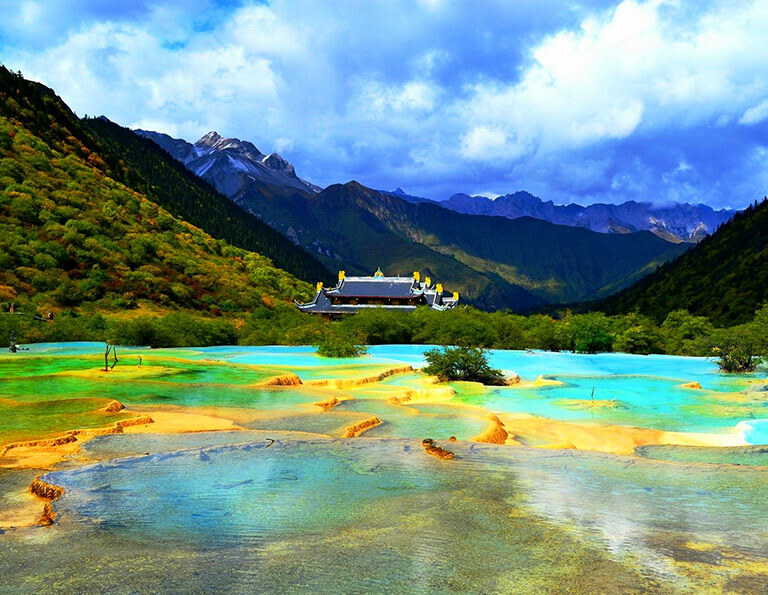 If you want to see some natural view, just go to Jiuzhaigou senic area and Huanglong National Park where the amazing scenery will feast your eyes. 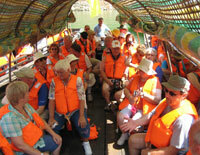 Visiting nearby Chongqing to make your Yangtze River Cruise from chengdu is just perfect for this 8-day tour.